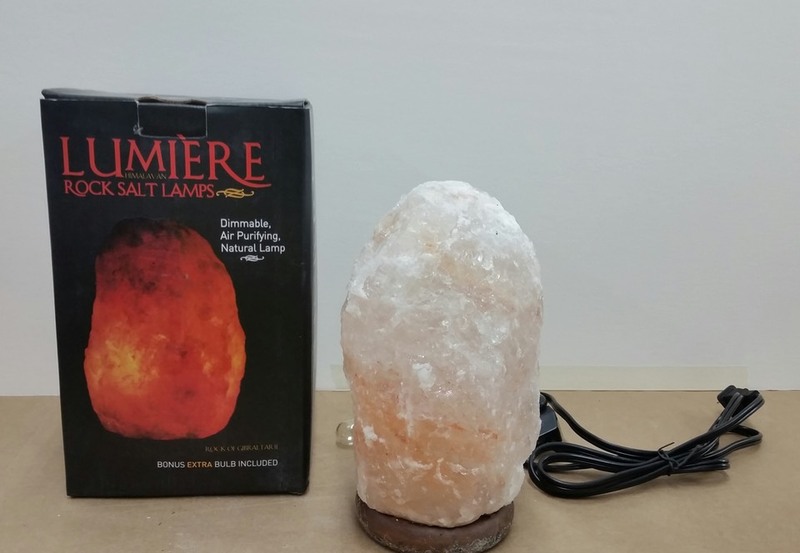 Himalayan rock salt lamps are very popular trendy for a number of reasons. Some just like the way they look and many use them for their amazing health benefits. However, if you have one in your home, you may want to check on the brand. 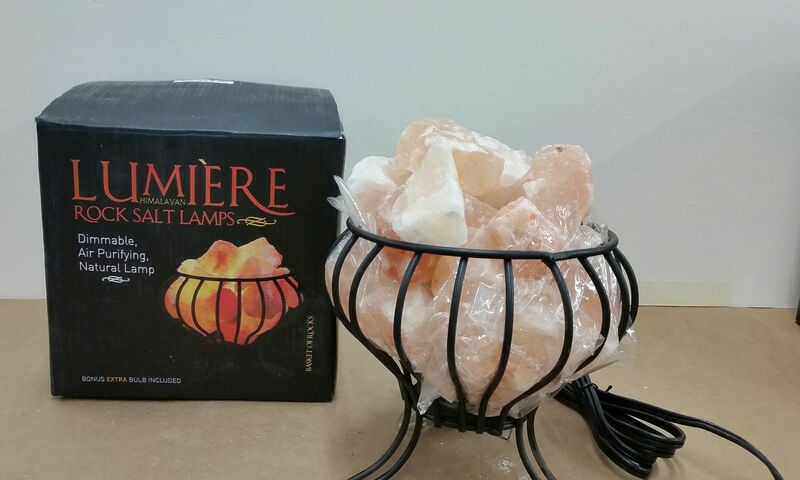 According to the Consumer Product Safety Commission, thousands of Himalayan rock salt lamps are being recalled — specifically, three different lamps from Lumière, sold between July and November 2016 at Michaels, as well as through Amazon. The Lumiere Basket of Rocks, Carnival of Lights and Rock of Gibraltar lamps have dimmer switches and/or outlet plugs which could overheat and ignite. All the lamps are pink, and were sold between July and November 2016. Those who purchased the lamps during the five-month time period are instructed to check the barcodes and return recalled products to any U.S. Michaels store for a cash refund. So what do you do if you have one? First, make sure your lamp is one of the three being recalled by the CPSC by checking the SKU and UPC numbers. And third is the Basket of Rocks (SKU 495146, UPC 00886946056277). You can find these numbers on the product and the box they came in. If you own one of these lamps- first, unplug the item immediately, then simply go to Michael’s with your lamp to receive a full refund. Here are 10 reasons why you should use Himalayan salt lamps. Positively charged ions in the air tend to rob you of any chance of a good nights sleep, and the reason this happens is that the particles can reduce blood and oxygen supply to the brain, which then results in us having irregular sleep patterns. Believe it or not, Himalayan pink salt lamps are natural negative ion generators, which can help to reverse the problem of being over exposed to positive ions. So when you hear the term negative ion you just need to remember that we are electrical beings and having too much of a positive charge can cause a lot of problems in our body such an inflammation. This is why people use grounding mats, walk around barefooted outside and keep himalayan salt lamps around. They all help to ground out the positive charge and bring your body into a balanced state. The natural soft light that is given off by the Himalayan salt lamps helps to generate negative ions that help to improve energy levels and mood. To our bodies, it feels close enough to the warming glow of the sun, that they have even been used to help relieve the symptoms that come with Seasonal Affective Disorder. Feeling depressed during the winter time is never fun so keep one of these lamps nearby to help curb the effects. If you are looking to unwind at the end of the day then Himalayan salt lamps can be an incredible way to help you to naturally unwind and relax at the end of the day. On the other side, these lamps have been known to be great for helping to improve concentration. This is another awesome effect of the negative ions. They providing a boost of serotonin (the neurotransmitter that actually makes us feel happy) and will improve oxygen and blood supply to your organs and brain.